JeVon is Owner of West Austin Strength and Conditioning. After a 4 year stint as an institutional trader on Wall Street, Je’Von chose to pursue a more fulfilling “career” path. This pursuit landed Je’von in Austin, TX in 2006 where he set out to help individuals realize their infinite potential. As a former collegiate athlete, Je’Von had always lead an active lifestyle, nonetheless, his ideas of fitness were dramatically shifted once he was introduced to the Foundations of Chip Conrad(BodyTribe) and Greg Glassman(Crossfit). This shift would result in Je’Von taking on lifestyle changes that would produce results so profound, Je’Von became inspired to empower others to seek out such changes. 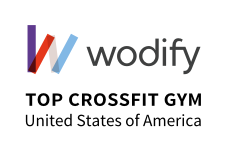 In 2008, Jevon along with a close friend, opened the doors to Westlake Crossfit. Je’Von wanted to create an environment that was more than just a place to “workout”, but rather a supportive community that promoted embracing the journey toward optimal wellness. Je’Von wholeheartedly believes that through exploration of the self, one can truly express themselves and that fitness is a way in which we can explore ourselves. In the fall of 2014, Je’Von was selected to become an Ambassador for Lululemon. That partnership has allowed JeVon to work with Lululemon to carry out their mission to create components for individuals to live long, healthy and fun lives. Je’Von enjoys spending time outdoors with his dog Bella, snowboarding, trail running, camping and reading.